The Appraisal Review Board (ARB) is appointed by the local administrative district Judge in counties with a population of 120,000 people or more. Prior to any appointment, there is a necessary application process. The board members must also be a resident of the district and must have resided in the district for at least two years. 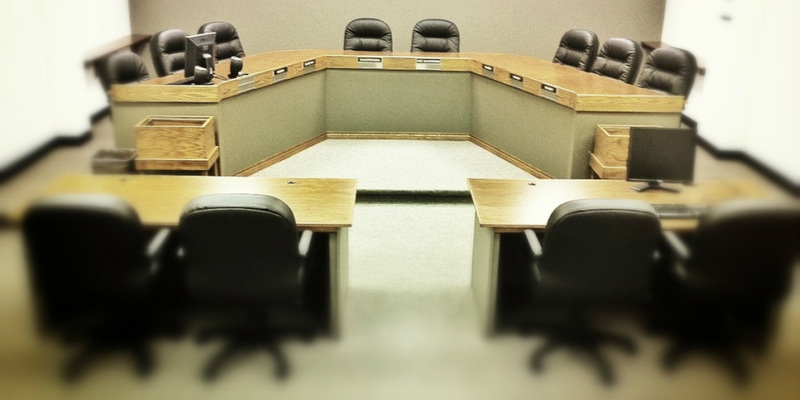 The members of the board hold office for terms of two years beginning January 1st of the year. The ARB presides over the formal hearings during the appeals process, determining the market value of the property in question based on information presented to them by the property owner or the owner's appointed agent, and the appraisal district representative. The Appraisal Review Board (ARB) is a group of impartial citizens that serve as the judicial part of the protest system. They are ﻿separate and independent﻿ from the Brazoria County Appraisal District and serve a different function. The ARB hears and resolves disputes over appraisal matters based on evidence provided by both the taxpayer and the appraisal district. The ARB must be sensitive to its legal and practical limits while also being sure to adhere to the Texas State Property Tax Codes. The ARB has authority over matters submitted to it and has no role in the day to day operations of the Brazoria County Appraisal District or in appraising any property in Brazoria County. Except where it is deciding a taxpayer protest, the ARB has no authority to change a value or change the appraisal records directly. The appraisal district board of directors appoints ARB members. The directors provide the budget for appraisal review board operations as authorized by statute, but they have no authority over how the ARB conducts its business and, in fact, are prohibited from communicating with the ARB concerning matters that could be the subject of hearings. The ARB is a decision-making body that has as its sole function the determination of statutorily-authorized protests and challenges brought by property owners and taxing units ARBs are appointed to act independently of the appraisal district and to make fair and impartial determinations. ARBs only have the authority specifically given by statute. Generally, the ARB is the second step in the protest process. Initially, you would normally meet "informally" with an appraiser to discuss your value and possibly resolve your property dispute. If an agreement is unreachable and you wish to continue with your protest, you would move on to the second step - commonly called your "formal" hearing with the Appraisal Review Board. The ARB will make a decision after hearing evidence from you and from the district. If you are dissatisfied with the outcome of the ARB "formal" hearing and you wish to continue with your protest, you would move on to the 3rd and usually final step, depending on your situation. If you protested your homestead property based on "market value" and your total value is $1,000,000 or less you are eligible to file for Binding Arbitration. The other option is to file a lawsuit in district court. The advantage of binding arbitration is that it is normally less expensive and the review process is normally not as long as lawsuit proceedings. The end result of arbitration is final and cannot be appealed. The end result of a lawsuit is final, unless appealed. Consult your attorney when considering filing a lawsuit. The purpose of the preliminary hearing is to review, and if possible, settle your protest in an informal setting. You will meet with a BCAD appraiser who can settle your protest. You and the appraiser will exchange information and review your evidence and our records to see if we can settle your protest without a formal ARB hearing. An informal meeting is not required by law. However, most concerns can usually be resolved once you and the appraiser look at all of the information. If your protest is settled, you won’t need to attend a formal ARB hearing. It is important to be on time for your informal appointment; this will help avoid long waits. You will go on to a “formal” ARB hearing if your protest is not settled informally. You may request an evening or weekend hearing. The ARB is not bound by any discussions or settlement offers made between you and the appraiser at the informal hearing. You must appear at the hearing in person, by an authorized agent, or by sworn affidavit to be considered present. Additionally, you must check in with District staff at the 3rd floor check-in counter at least 15 minutes prior to your scheduled hearing time. Consultants with multiple dockets or agents must check in at least 30 minutes before the scheduled hearing time. A minimum of 4 ARB members will conduct ARB formal hearings, in order to satisfy a quorum. If needed, a 3 member panel will hear your protest. All formal hearings are recorded. The ARB begins the hearing by introducing its members. The District staff and Chief Appraiser will also be introduced. Your name (owner or agent), account number and hearing type will be announced for the record. Next, you and the appraiser will be asked to acknowledge that you are both under oath. Each ARB member will then sign an affidavit stating that they have not discussed anything about your property before the hearing. The chairperson may then ask the parties whether they have exchanged all evidence intended to be presented. If they have not, the parties will exchange evidence at this time. Next, the chair will ask the appraiser to briefly describe the property, basis of protest and state the appraisal notice value. Listen carefully. The chair may ask whether you agree with the appraiser’s statement(s). If you do not, the panel will determine any changes deemed necessary and continue the protest hearing. Next, the chair will ask you to explain your position. You must provide at least seven (7) copies of all documents intended to be presented at the hearing. This is a strict requirement followed by the ARB. After you have completed your presentation, the District will then present its evidence and arguments to the ARB. When both sides have completed their presentations, brief closing remarks can be made. The ARB has allotted fifteen (15) minutes per hearing for each protested account. After all parties have had an opportunity to speak, the chair will announce that the testimony has ended. The ARB will then confer to reach a decision. The chair announces the decision when it is reached by a majority and may elaborate on the ruling. The final decision of the Appraisal Review Board is issued in writing and will be mailed to you by certified mail. This order directs the chief appraiser to change the district’s appraisal records, if applicable. Information, in part, taken from the 2015 Appraisal Review Board Manual published by the Property Tax Assistance Division (PTAD) of the Texas Comptroller of Public Accounts. For more information regarding how board members are elected and their responsibilities, see refer to this manual. You may be eligible to reschedule your formal hearing with the Appraisal Review Board (ARB). For details, click on the button below.